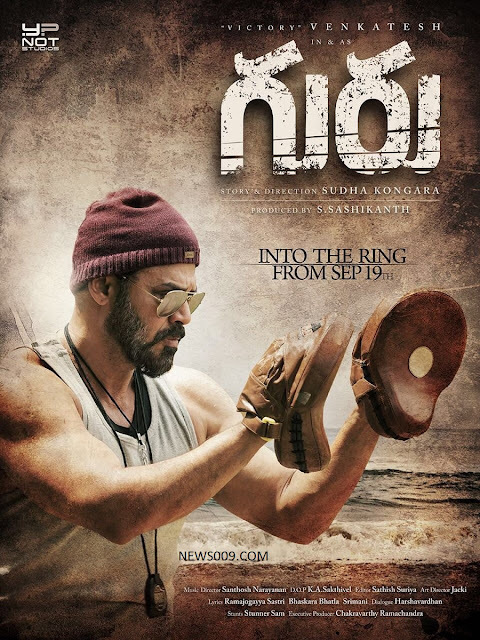 Venkatesh&#39;s Guru Trailer To Release On 20th March, 8 30 PM, Movie On 7th April. Venkatesh's Guru Trailer To Release On 20th March, 8 30 PM, Movie On 7th April. After decent hit like babu bangaram, venkatesh is doing this movie guru. This is remake of tamil hit film irdhi sutru, Directed by sudha kongara. Movie is releasing on 7th April and on 6th at overseas. Trailer gets date today that is on 20th march night 8 30PM. This is finished with in 2 months and under budget of 20 crores. As movie is releasing in holiday season, Movie may emerge as blockbuster due to its low budget, big hero formula and remake formula. Already music is in top charts, Being 3-4 superhits.